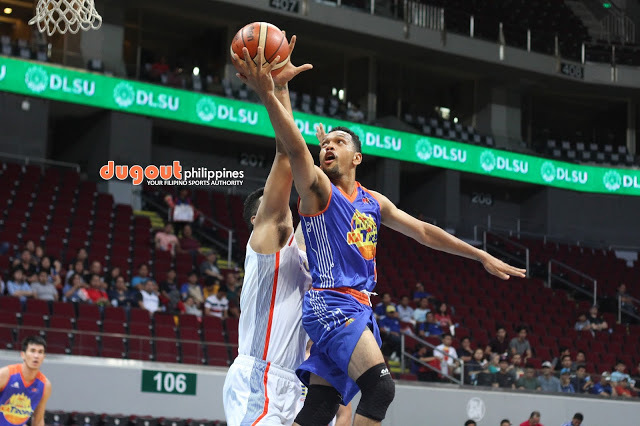 Jayson Castro will once again lead the KaTropa, who are beginning life without Terrence Romeo. MANILA--Tim Cone gears up for what a post-Terrence Romeo era TNT will show when it takes on his team, Ginebra, in the inaugural game of the 44th season of the Philippine Basketball Association at the Philippine Arena in Bocaue. "I think they are going to be a really motivated team," the Barangay's head coach said. "You want to prove anybody that was a right move and they can win without him and they can be a team without him. What better stage than the opening game against the crowd darlings to make their statement." The KaTropa are parading a retooled lineup with David Semerad, Mike Miranda, and Brian Heruela as key additions. For their part, however, Cone said that they had to deal with hastening their preparation for the said match scheduled for a 6:30 p.m. tip-off Sunday night. "It has been a struggle getting prepared for this conference. We thought, we are going to play our first game on the 19th and it turned out we are playing on the 13th, so we have to make hobble in terms of our conditioning," he continued. "It has been tough on the players; I have been tough on the players and they have a tough goal of it." However, he insisted, "They are responding and I think they will be ready for Sunday." Prior to the Ginebra-TNT match, the league will have the annual Leo Awards to honor the top players of the past season to be followed by an opening ceremonies to kick off what will now count as the 2019-20 season which is expected to run until early next year.